0583-500GYManhattan Led Outdoor - Post (Height 50c..
0583GYManhattan Led Outdoor - Wall Bracket, Dark G..
5001BK-LEDOutdoor & Porch (Gu10 Led) - Black D..
6223SSOutdoor Led Ip65 3 X 1w Stainless Steel Spot..
0598-900GYTucson Outdoor 1 Light Post (90cm Height..
0598-450GYTucson Outdoor 1 Light Post (45cm Height..
14018The modern design of the Atlantis floor spike..
71540The Luminatra RGB is a versatile, colour chan..
71539The Luminatra RGB is a versatile, colour chan..
54317The Luminatra is a versatile bright LED spotl..
54316The Luminatra is a versatile bright LED spotl..
ST501228A twin post from the Odyssey range with fu..
ST5011An outdoor spike from the Odyssey range with..
POLGU10Mains voltage spike light constructed in ro..
13914The Palin is a high quality spike light finis..
13797The Palin is a high quality spike light finis..
Garden lights are ideal for the home owner (not exclusive). These are a treat for a garden and can be stuck in or dug in anywhere there is softland such as a patch of grass, a patch of gravel, a pit of sand or even within a flower bed. These contain top of the range LED lights which can be used to broadcast a large range of lighting across the entire patch it sits in. The garden lights we stock are all solar powered so there is no need to worry about changing batteries. For more information about our range please get in contact, we are always happy to assist in your choice. 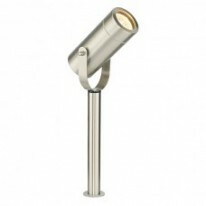 Lumination is a leading retailer of lighting products with outlets in Barnstaple, Taunton, Bristol and Cirencester. Est 1999. We offer a wide range of contemporary , modern and classic lighting and related accessories as well as carrying out repairs and refurbishments of light fittings and we offer a full lighting design service.